ISOF facilitated a meet and greet between 3rd year students and industry. The two minute interviews were inspired by speed-dating, to help break the ice and ignite a conversation for future communication. Students were able to chat to industry role players (hosts) from various fields such as fashion retail, design and media. The LISOF BA Honours in Fashion is a Post-graduate learning programme that will provide intensive and focused specialisation in Fashion. The course has been developed by leaders in fashion and retail with a view to giving you the most progressive and relevant education in the business. The focus of this programme is applied research (i.e. research in action) in order to solve real ‘problems’ that exist in the field (work integrated learning) If you are considering a strictly academic piece of research you will be allowed to pursue this avenue as well. Alongside building research capacity, this programme deepens a theoretical and practical understanding of your specialisation choice in Fashion. Work-Integrated learning is of utmost importance to this course therefore you will be exposed to retail partners to work a period of time with, to learn in the field knowledge. Selected students will receive a stipend while they intern at various fashion industry companies. 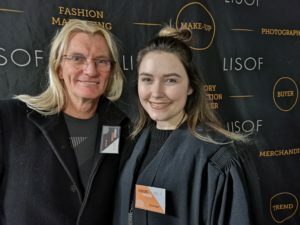 Why the LISOF BA Honours in Fashion? The psychological effect of costume in film on the viewer and what the process entails as a costume designer to achieve a possible response on a psychological level within the viewer. Researching the modernisation of costumes within films and how fashion within period films are being conceptualised and therefore re-incorporated into current fashion trends. The reason being is to better understand the film industry as well as costume design for this is an interest of mine. To examine the relationship between culture and buying of clothes. 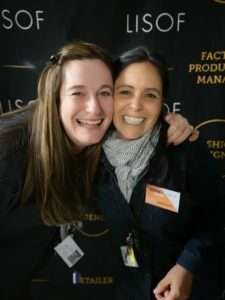 CEO Shana Rosenthal with LISOF Alumna, Shayna Goncalves who was a the guest speaker at the BA Honours in Fashion meet and greet. Registered with the Department of Higher Education & Training as a Private Higher Education Institution under the Higher Education Act, 2016.